The mutant lacks expression of Schizont Membrane Associated Cytoadherence protein (SMAC). 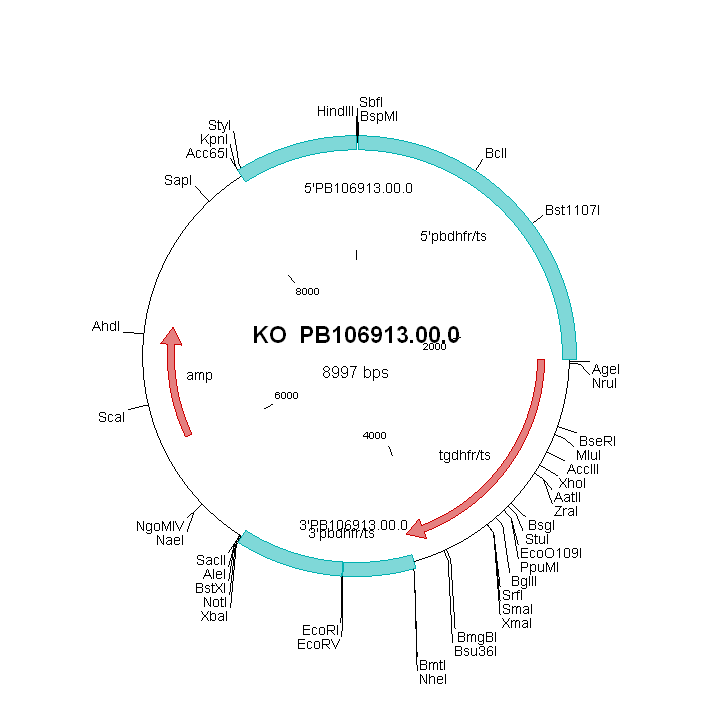 To generate plasmid pL1351, used here to disrupt smac, the 5’UTR region of smac was amplified (Asp718/HindIII; primers 3423-3424, Table S5) and cloned in pL0001. Subsequently, the 3’UTR region was cloned as an EcoRI/XbaI fragment (primers 3425-3426, Table S5) to obtain pL1351. Plasmid pL1351 was linearised using Asp718, XbaI and ScaI and transfected into parasites of reference wt-GFP-Lucschiz.